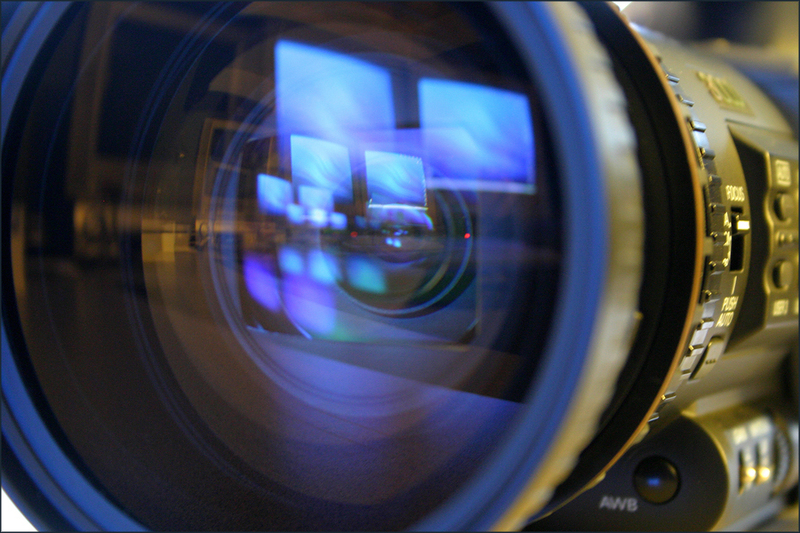 What Makes An Effective Corporate Video? If a picture is worth a thousand words, how much is a video on your website worth? Plenty more. Or a lot less. It depends on the video. And the website. If you’re an individual “citizen” blogger, you may be fine with something that has a homemade look. People will often give you a pass. They’ll accept that you’re not a big operation with deep pockets to invest in high-end video. If you’re a business, people may still give you a pass. Only in a different way. They’ll think, “Gee, how unprofessional. I wonder if the rest of the company is up to snuff.” So they pass you by and head to a competitor’s site. A slapdash video is a poor reflection of your entire company. Melissa Shusterman, director of digital video and web communications at D4 Digital, a division of the Philadelphia-based D4 Creative agency, knows how to create professional internet videos that communicate your value proposition in engaging fashion. Formerly a producer who’s worked with MTV, VH1 and FX, she’s also noted as an innovator of episodic web video. Melissa and I recently had a nice chat. Here are excerpts from our conversation. Use of video online is getting a lot more popular. How do you see that trend going forward? Melissa: YouTube is the fastest growing audience online. And its audience is far beyond the under-21 age group… Yet YouTube is filled with crap. There’s a lot of nonsense. You’re seeing a dog sit, or a baby cry, or a person rant. It’s amazing because people watch it. The power of receiving your information through someone’s mouth, or moving pictures, is incredible. Melissa: Because we are human and we like to feel like we are spoken to directly and that we’re connecting with someone’s body language. Their eyes. Their opinion. It almost feels like a conversation, even in a video that doesn’t have a person looking right at you. Take that guy who talks about wine but screams at you. He’s a prime example. Why would people want to listen to that? Because instead of reading a PDF about the top four wines with a picture of a wine bottle, which is highly impersonal; you suddenly got to connect with a person who is as passionate about wine as you are. Many businesses don’t see the need for video. They have a website and they think that’s enough. How do you convince them otherwise? Melissa: Well, one of our clients, a media company… I told them, “I just Googled your company and looked you up on YouTube, and … there was something that came up with someone cursing with your company name associated with it. It looks like you’re not thinking about that world. But other people are posting about you in that world. So do you want your company to be perceived like that? Because maybe you’re not Googling or YouTubing, but millions of other people are. So they say… “We already have plenty of video. Why don’t we take the video we have now and stick that up on the web?” Well, that’s for broadcast. We need to film things specifically for internet use. With certain clients you advocate the use webisodes; a series of short episodic videos. How does the impact of that differ from a TV commercial? Melissa: With a commercial you have the constraints of 15, 30 or 60 seconds. It’s a more traditional medium to convey a very specific message. When you have webisodes, it’s organic. It can be a continual message that can be woven into something that’s entertaining and informative. When you watch a commercial it’s an assault at you. They’re great and some are highly entertaining, but they’re very quick. Sometimes you don’t even really know what you are seeing. When you have a personality, or a character, or a storyline, that’s in two-minute increments for 10 days; or a lifetime; you are getting to know the brand better, You are getting the added value of a longer format and the information that can unfold. Companies often go with a “talking head” approach on their homepage. Do you think that can still be effective? Melissa: In the past you would have a talking head and it was about two inches wide and one inch tall. The players are much broader today. So now maybe it’s taking up a third of the homepage and it’s taking away some the space you used to have for your messages. So instead of having the CEO speak, that video should encompass your messages. The CEO could tell the messages. What’s the difference with what you’re referring to? Melissa: Graphic pictures, voiceover and music can convey a compelling message and it can guide people further into your website. Video messaging is now multi-layered and engaging… I can talk about this for hours but the simple thing is, people Google your company. They land on your page. Do they understand what you do, or do they go to the competition? It’s one of the components of integrated media that’s going to be essential for being current. People do not read. People watch… If it’s people’s first impression of your company, the message doesn’t have to be long. But there should be entertainment value and it needs to be authentic… Pick a genre that fits your company. Possibly documentary style. Or like a sitcom. Whatever fits your clientele. Are there any common mistakes that you can identify with corporate videos? Not being up-to-date. You’ve got to stay current. It’s like wearing a bad pair of jeans. When you’re current it shows you’re investing in the future and you’re moving forward as a company. So it’s not something that you just do once. Things that are too long. People are busy. Keep it short. Even if it’s got humor, because after someone laughs they’re ready to move on. It’s always about the consumer or the potential consumer. It’s not necessarily about the company. That’s true of all good marketing. What if a company says they’ll just repurpose commercials? They’re short. What would you tell them? Melissa: Don’t repackage what you do for broadcast for the internet. People are savvy. The minute they know it’s a commercial you’ve made a mistake. You’ve turned them off… You have a captive audience. If someone is sitting at their computer it’s different than watching TV where they may be on the phone. Walking around. Feeding the kids. Doing sit-ups. They’re half listening. When someone opens up something and it’s speaking directly to them and you haven’t captured the audience, shame on you. What do YOU think of Melissa’s thoughts on what makes for an effective corporate video? Comments welcome. Thanks for the props, Autom. Melissa sure does have a lot of valuable real-world experience with video, and it shows. very relevant. nothing like hearing it all from an expert. thanks for this. Thanks for commenting Leo, Melissa does have the inside skinny on this topic. Great insights. We’re very big on using high quality video for authenticity. We’re a small personalized homebuilder and video has really helped our customers get to know us before they even visit our model home. We totally agree with Melissa with regard to creating a quality video. People will judge your service and product based on how they perceive the video. We have over $15K in video production equipment (lights, mics, Sony XMI camera, jib arms, steadicam, etc.). But it’s totally worth it. Wow, nice $ investment in video equipment. Bravo — and especially because you are a small business. You offer a good example of how putting emphasis on quality and personalization pays off. Thanks for sharing your story. Now, here’s to hoping the homebuilding market gets brighter in 2010. Would I consider a corporate video production? The question is can I afford not to! Its not about staying ahead of your competitors anymore, its about keeping up with them. You’re absolutely right. As video becomes more common on corporate websites people come to expect it. This is doubly so if your main competitors offer video. If one business has video on the web and another does not, it can be an important point of differentiation — even if it’s just perception, it matters.